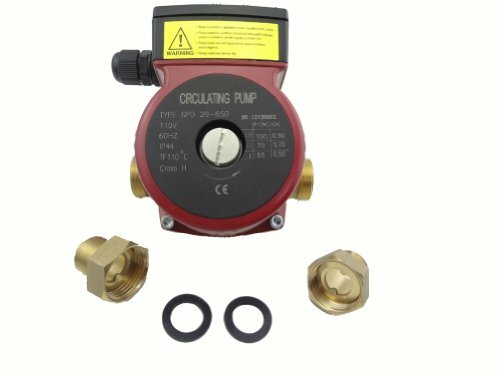 circulation pump for hot water heating system, 110V, 3 speed. circulation pump for hot water heating system, 110V, 3 speed. Size: G1BSP(there're connectors (G1 BSP to 3/4 NPT) in the package) Application It can be used for single and double-heating systems and large-scale mixed-loop system. 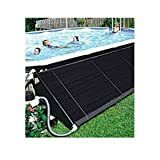 It also can be used to supply water and add pressure for mansions of city, villa of suburb house to match with industrial equipment, to supply water in cycle for cooling air-condition, boiler and solar energy, supply hot water and keep warm in cycle, etc. Feature: - Low noise - No leakage -Environmental protection -Elegant appearance, -Easy installation.